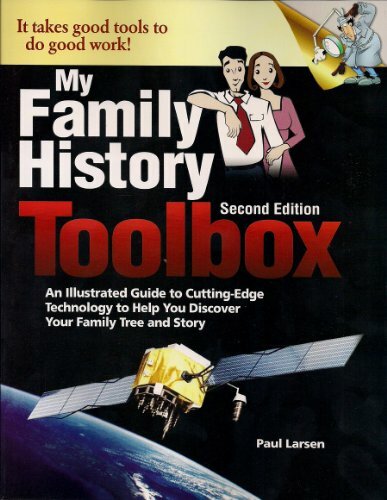 This is an easy-to-understand, fully-illustrated guidebook (plus a hugely discounted -book download) to the latest new apps, gadgets and tech tools to help you discover your family tree and stories. And easily share that information with your family and friends. The author has scoured the Internet and consumer reports to find you the best and latest family history e-tools and apps. He has taken away the guesswork by bringing you the best gadgets and gizmos for searching, organizing your information, and sharing your family tree and family stories with others. The discounted e-book download included with your purchase contains live (hyperlinked) websites, linked YouTube tutorial videos, and much more in a user-friendly style. And is compatible with Windows, Mac, Kindle, Nook, Galaxy, Nexus, iPad, and your smartphone.